there is hardly any vegetables such as broccoli have benefited from anti-cancer, lowering blood pressure, preventing stroke, osteoporosis and even help you lose weight. 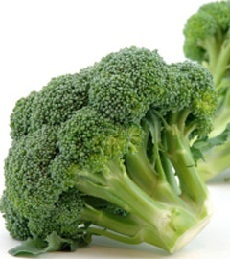 Benefits of broccoli can be obtained by optimally consume raw or steamed. The nutritional value of broccoli can be considered as a power such as iron, protein, calcium, chromium, carbohydrates, vitamin A and vitamin C. Broccoli also contains important phytochemicals and antioxidants, which fight various diseases and infections.